At 9:30 a.m. the traffic was light on the freeway that took us from Porto to the Douro Valley –- surprise to dwellers in American metropolises. Our guide, Francisco Sobral, from Lab Portugal Tours www.labportugaltours.com pointed out buildings and trees as we whizzed past. Then the landscape changed, the van shifted gears, and we knew that we had left the City behind. Used to seeing rocky or, worse, concrete creek beds roughly eleven months in a year, the sight of a voluminous river takes my breath away. So much water meandering calmly from its source at the Duruelo de la Sierra in Spain toward the delta at Porto and into the Atlantic Ocean. There must have been a time when the river revealed its dark side, overflowing its banks and wreaking havoc. In the past century, Spain and Portugal have reined it in with fifteen dams, of which we saw one – the Bagaúste Dam — with the usual benefits of electricity, transportation, and recreation. A system of locks allows boats to navigate the water easily. Equally fascinating were the hillsides – steep, rocky and uninhabitable in some places and green in others. 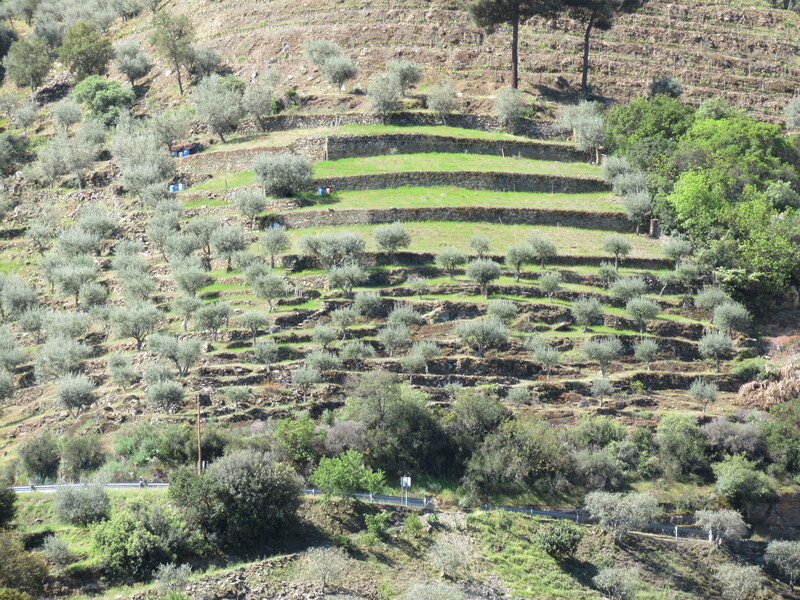 Every inch seemed terraced for vines, olives and other trees. From the distance, I could not see the others, but Francisco told us that many varieties of fruit trees grow here – almonds, figs, peaches, cherries. It was like being in California! Strangely, despite the terraces, the countryside looks remarkably pristine due to very low population density. We drove for miles without seeing many signs of habitation. And if you think you’ll drive yourself, don’t. The roads are narrower than you can imagine, winding with no guardrails, and a steep drop of several hundred feet down to the river. The drive up to the tasting room. 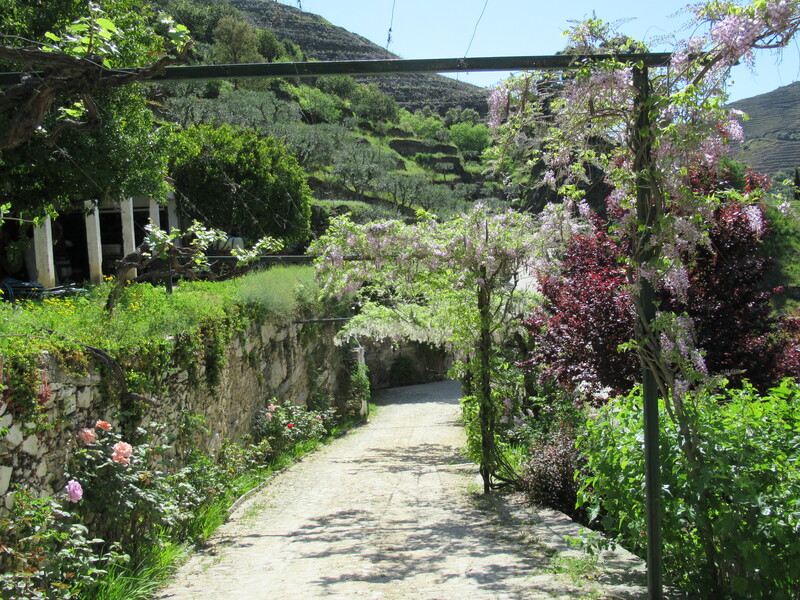 An even narrower road took us to the Quinta do Panascal. This ‘quinta’ or estate brought to mind the charming British countryside, immortalized in landscape paintings, long before it clashed and lost against cold modernization. 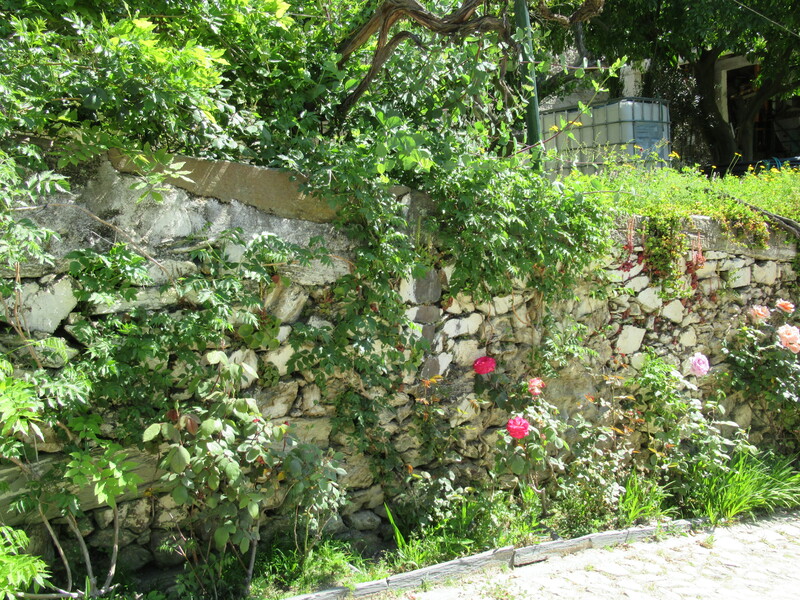 I wanted the camera to capture the climbing roses on the dry wall, the arbor, the wisteria, the grass, the shaded patio, and turned the lens with frenzied energy lest the quivering afternoon air lift it all away. 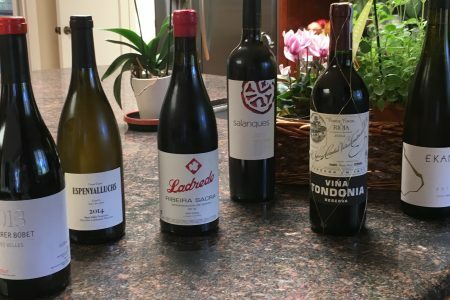 I will let the pictures do the talking, after a few words on the port the quinta produces under the Fonseca label http://www.fonseca.pt/, one of three estates to do so. 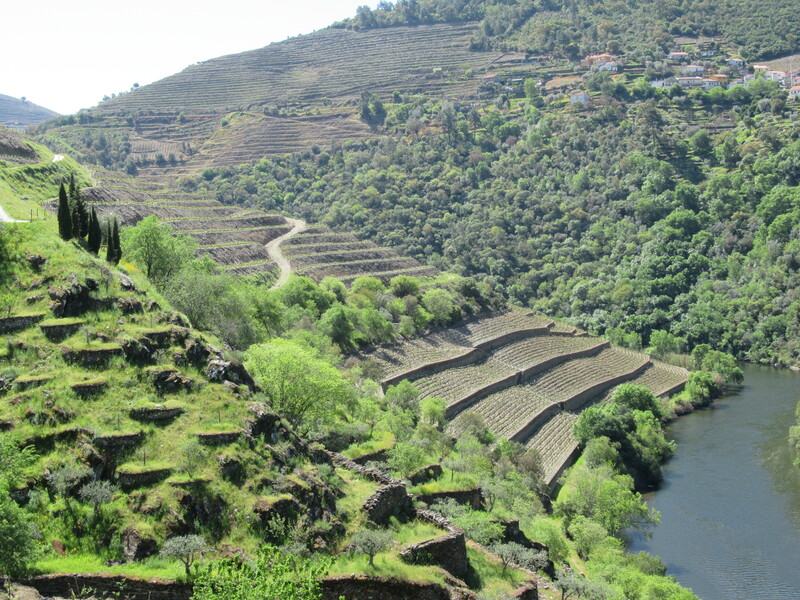 Most Portuguese wines are blended and the ports produced here are no different. 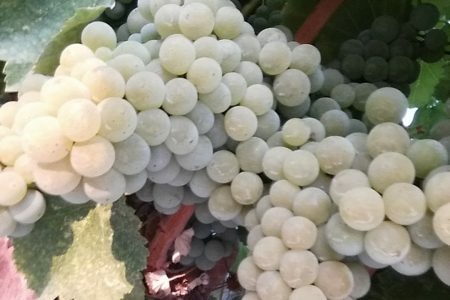 Quinta do Panascal grows three types of grapes – Tinta Roriz, Touriga Nacional, and Touriga Francesa for the red ports and malvasia fina for the white. 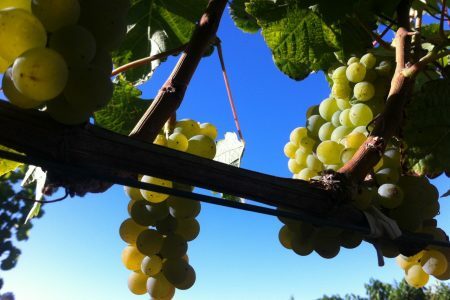 Even today, grapes are crushed under foot on site, then taken to another building for fermentation and aging. We tasted four ports – a white, a 10-year-old tawny, a 2011 late bottled vintage, and a 1987 vintage port. Over the couple of days we spent in Porto before Douro, we had sipped a bit of port. These, however, were the best we had on our trip. 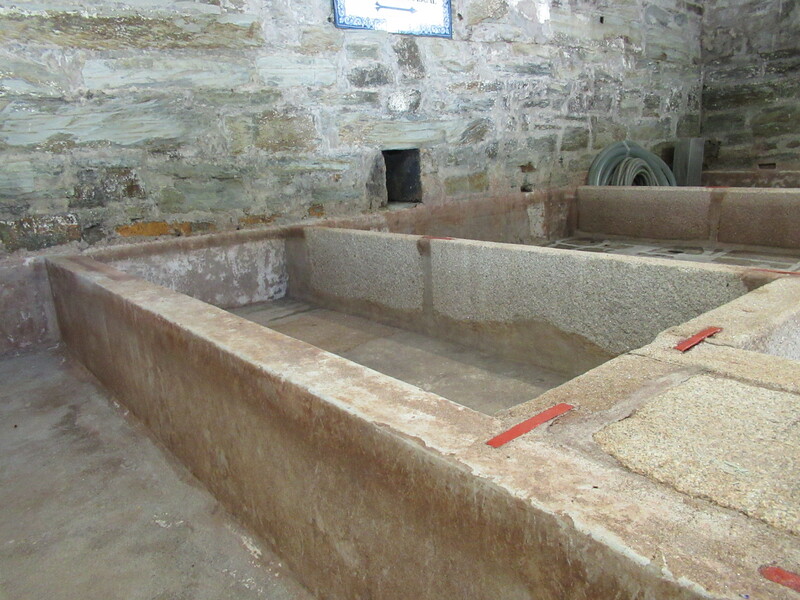 I will write soon about another historical quinta that is focused on wine rather than port. And then a visit to a quaint wine village. Photo credit: Again, yours truly. Beautiful settings, enough to tempt me to taste ports. Didn’t know there were white port wines, however. Learned something new.